Secret chat gives users more privacy and more security . 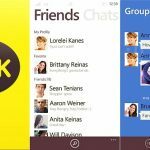 Considering this important value of KakaoTalk messaging app users , Kakaotalk , on December 14 last year launched secret chat mode. It is a protection mode which allows end to end encryption at both ends , sender and receiver. This makes sure that the messages can only be read by the intended reader. It was only available for 1-1 chats in the application till 16 March 2015. 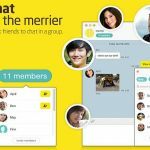 After getting praised by its users, for this feature, Kakaotalk has now expanded this feature and now introduced this Secret mode feature for group chats too. It is for now available only in Android platform but Iphone version is promised to be updated with in the month. To begin a secret chat , you need to click on Options in right corner of chat room. In secret chat mode, all messages will be sent with end to end encryption , encrypting for each message sent through any device in chat room. Message will reach server in encrypted form and will only be decrypted after reaching in receiver’s device. The other security feature is that, when all the members of secret group chat reads the message then , the message is deleted from Kakaotalk servers, keeping its users more safe and secure. It just shows that how much valuable , their user’s privacy is for them . But with great power comes small restrictions. Yes there are bit restrictions in Secret group chat mode. You can only have limited 50 no. of participants in your secret group chat. The other restriction is that you don’t have polling and scheduling feature too. But CEO and team of Kakao talk have ensured that they will remove these restrictions on further updates .